Every year the Barbados Horticultural Society manages to persuade some of its members to open their gardens to the public. The last open garden of the year was the Cobbler's Cove Hotel in St Peter. The garden has undergone a gentle upgrade under the eye of garden consultant Niki Farmer. From my conversation with her it has been an enjoyable job, despite the fact the owner doesn't like yellow flowers or variegated leaves. All the rooms and suites open out onto or look over probably the most immaculate garden I've ever seen. 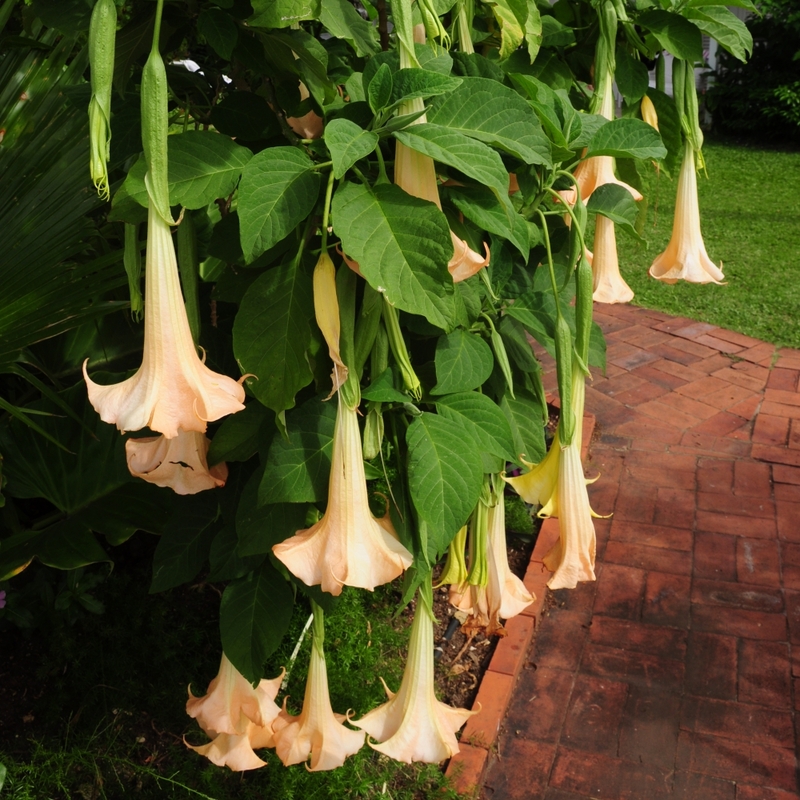 There are many tropical and meditteranean plants and flowers familiar to us in the UK, usually as house plants, such as Bourgainvillia, Brugmansia and dozens of different palm trees. Some are less well-known, as plants anyway, such as this Ylang-ylang tree, whose flowers are used in many perfumes. One of the guests had not checked in but was making himself at home anyway. I was just dying for this green monkey to nip in to the room and help himself to the hotel soap, but he was very well behaved. The green monkeys are not native to Barbados but come orginally from Gambia and Senegal. Over 75 generations they have developed different behaviours and characteristics to their ancestors. Its amazing to think this garden is just a few metres from the beach. Shelter from the prevailing winds, plus plenty of sunshine and rain, makes Barbados gardens lush. Large trees can reach maturity in just 25 years. Brightly coloured flowers can co-exist in close proximity with shade-loving ferns, something that's almost impossible to achieve in the UK. Of course there were refreshments. Tea, naturally, iced-coffee and, rarely to be found in an NGS garden, rum punch. The icing on the cake was a plentiful supply of fresh Bajan fish cakes, so hard to find after the strange disappearance of the world famous fishcake stall from Speightstown. Niki Farmer doesn't have a website but I'm guessing she can be contacted through the Cobbler's Cove Hotel.